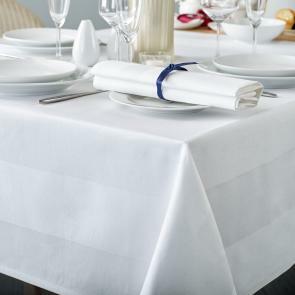 Lovingly made from 100% mercerised cotton, the Deta Collection of quality restaurant table linen provides all the quality you’re yearning for. 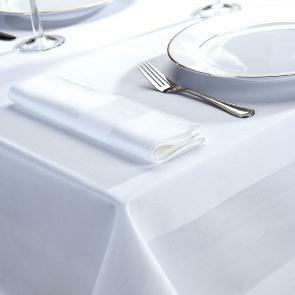 The satin band design on our napkins and tablecloths instantly lifts the tone to create an elegant meal setting on any table. Made from 100% mercerised cotton with a 140 thread count, it feels great to touch and keeps its superb quality throughout repeated washing cycles. It’s the perfect way to create a classic dining experience.